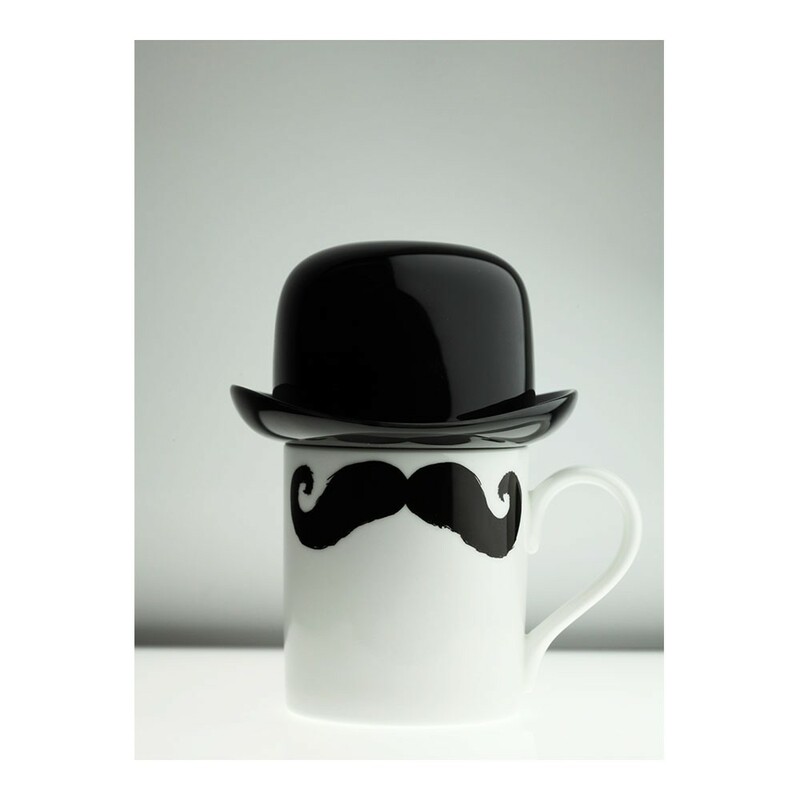 Inspired by Hergé legendary Tintin cartoon, the well spruced duo are now helping maintain the great English tradition for tea in the most dashing of ways. 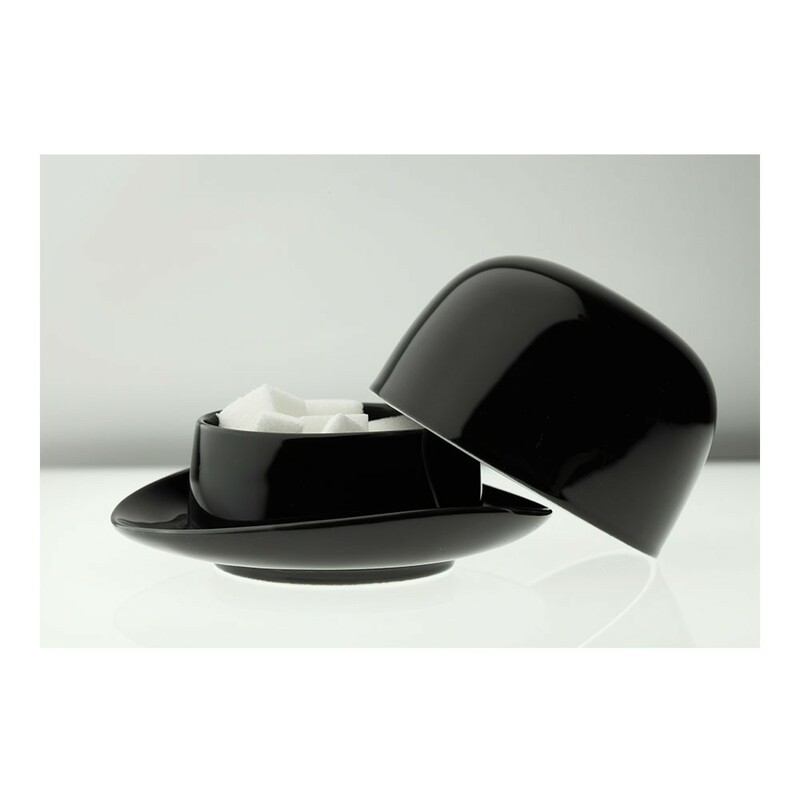 The Thompson Sugar Bowl is great for holding sugar as well as small biscuits and patisseries. 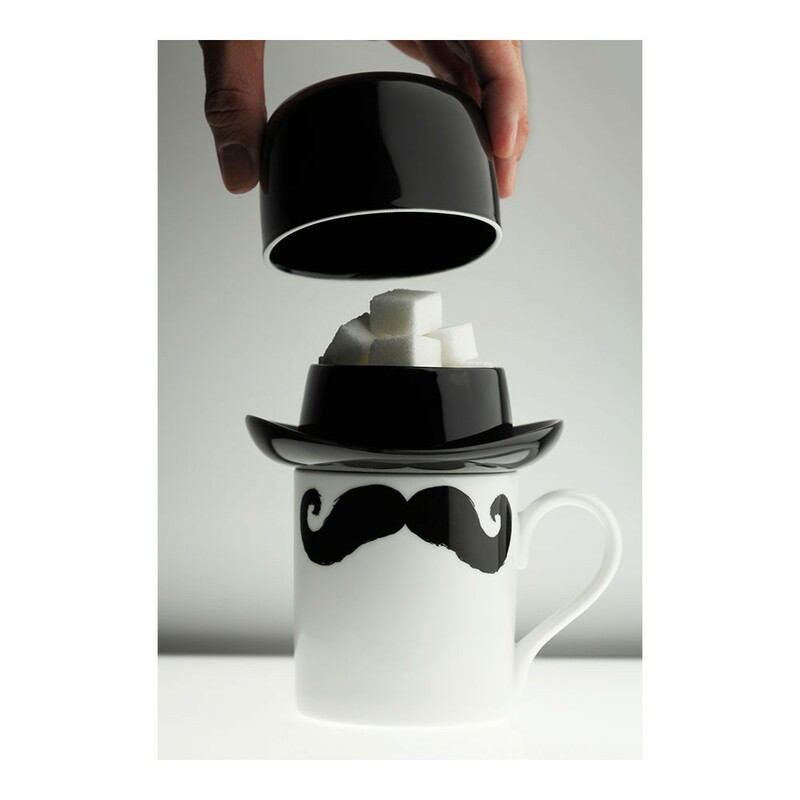 The round hat sugar bowl is also ideal for dressing up and topping off the original moustache mugs whilst keeping the tea warm!